Copyright (c) 2009, Microsoft Corporation. You should have received a copy of the GNU General Public License along with this program; if not, write to the Free Software Foundation, Inc., 59 Temple Place – Suite 330, Boston, MA 02111-1307 USA. Oh and BTW, after removing all the non-Microsoft copyrighted code from the above consolidated patch, all the diff declaration headers, and all the empty lines, the number of lines remaining (i.e. the actual code Microsoft generously “contributed”) is 14,010, which is a good six thousand lines short of Microsoft’s claim. That’s OK though … it’s six thousand fewer lines for me to remove. Microsoft contributes nothing to Linux, except lawsuits for the most part. Microsoft funded SCO’s lawsuit against Linux (more than once) and right now Microsoft is suing companies for using Linux (also more than once). People who do not yet know all of this ought to wake up and get the facts. Microsoft is always attacking Linux and the code mentioned above is no contribution. 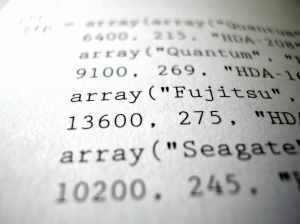 If Oracle writes a new file system for Linux (btrfs as the example in mind), then that file system is valuable also to IBM, to H-P and even to us home users. It really enriches Linux. Microsoft’s patch, on the other hand, is helping nothing but Windows, turning GNU/Linux servers into just a virtual appliance running under Windows. More bizarre twists in the SCO case have only led to the point where, according to Pamela Jones, SCO is nearly finished for good. So those are the various possibilities I see. Do you see any good ones, if you are SCO management? I don’t see even one. If we are marking on a curve, SCO’s suggestion in its letter is the least toxic, but none of the possibilities now are really ideal from SCO’s point of view, and how realistic do you think it is as a suggestion at this late date, considering all that came out in discovery and at the hearing? I think this may be the very first time in the entire SCO saga where SCO seems to have no really good options on the table that I can see. And that’s probably why after the hearing on the 27th, I was overwhelmed by the incandescent realization that we had just turned a real corner, one that changes everything, and that we’re in end-game territory, at last. I’m willing to bet that most developers look at the line count in their IDE to determine lines of code. I’m also willing to bet that if you take the same approach with other contributions, the lines “actually” contributed would drop as well. Does anyone really think that the community opinion of the M$ contribution will drastically change by finding out it was only 14k of “original” code? I doubt it. Looks like a slow news day to me. I agree that this may not change anyone’s opinion, but, for accuracy’s sake, it’s quite off to count the diff program’s existing context lines and the repeating headers as your contribution. I think you can have diff spit our a larger number of context lines. If you do this, you can grow “your” contribution many-fold. Will the code work if you strip out the headers etc? Probably not. Is 30k of NEW code more worthy than 10k of new code? I don’t think so. When someone spouts off about how many lines of code they’ve written the first thing I wonder is – how much of it is bloat. I’m more impressed by code that works with as few lines as possible than anything else. If someone is measuring themselves by LOC, they have cranial-rectal inversion. A 5 line patch that fixes 100 bugs is more worthwhile then 50k lines of work around code. Not C header files but the headings in the diff output. Eg, to patch a file, the patch program requires context lines and the file name to find out where to patch in the lines of code. These context lines (existing lines in the kernel) and file name headings are not source code to the kernel but rather are information created by “diff” for use by “patch” to carry out its work of patching the kernel properly. These lines are not written by Microsoft developers but are written by the diff program automatically using the existing kernel. I haven’t looked at the diff file but that is what I expect is going on here. How many lines of code have /you/ contributed to the Linux kernel, Roy? Roy hasn’t contributed any. Roy is an advocate. He “contributes” misinformation and slanted “news”—like this article—to a general reaction of derision amongst the folks who do actually contribute to FLOSS development. This is silly, Roy. As Linus has noted, Microsoft is no more “polluting the kernel with Microsoft APIs” by supplying these drivers than Intel is “polluting the kernel with Intel APIs” when they supply power management code for their CPUs. The fact is that you’re not in support of “Freedom Zero” here, the freedom to “run the program for any purpose“, Roy: you want to deny the folks who choose to run a Linux distro virtualized on a Windows Server 2008 system the liberty to do so.